Dr. Henry (Hank) Evers was born in Stockton, CA and grew up on the family cattle ranch in Butte Creek Canyon, Chico. He attended Chico High School and Chico State, before attending UC Davis School of Veterinary Medicine. Dr. Henry Evers obtained his Doctorate of Veterinary Medicine in 1956. Marilyn Evers was born and raised in Stockton, CA and attended high school there. She then moved to Chico to attend Chico State, where she met Hank. While Hank attended veterinary school, Marilyn found a teaching position at East Davis Elementary School. Henry and Marilyn married between his freshman and sophomore year, in June 1953. Marilyn received her Veterinary Technician license in 1976. Dr. Hank always had wanted to return to Chico to establish his own veterinary practice and in 1956 he and Marilyn moved back to Chico and began to practice veterinary medicine for large animals from their home. At that time there were many Grade A dairies in the area which kept him busy. This kind of practice lasted until 1960, when Dr. Hank and Marilyn Evers took a huge leap and built their own small animal clinic. Back then, El Monte Avenue had 3 houses, along with Chico Meat, a feed lot, and a slaughter house on the south end of El Monte Avenue. Directions given for the clinic were between dead horse slough and the city dump. The first two employees were Dr. Hank and Marilyn as his assistant. The first paid employee was Smitty Smith who was hired as kennel help and all around handy man. Dr. Hank Evers retired in 1993, but still retained an active role in the practice. In 1994, remodeling began of the existing 900 square foot building expanding it an additional 2500 square feet. 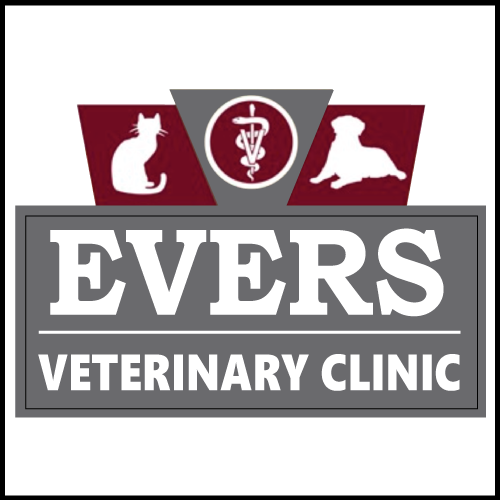 In 2006, the Evers Family and staff celebrated 50 years of veterinary practice, opening the clinic to their valued clients and the community. Dr. Hank and Marilyn Evers raised two children, Susan and David. Both children attended Chico High, becoming the fourth generation of Chico High graduates in the Evers Family. Susan is a successful veterinarian working for her parents practice and David is a successful orchard manager for a large farm company. In December 2006, Dr. Henry Hank Evers passed away. Evers Veterinary Clinic has continued on with the tradition of providing the best veterinary care possible for generations to come, thanks to Marilyn and Dr. Susan Evers.